Quite many years I've been going through many flea markets, antique shops and auctions. You can imagine how much things you see and how much you take home with you. Yesterday I was reading my favorite blogs and in Hello Sandwich I saw some lovely handmade envelopes made by her. 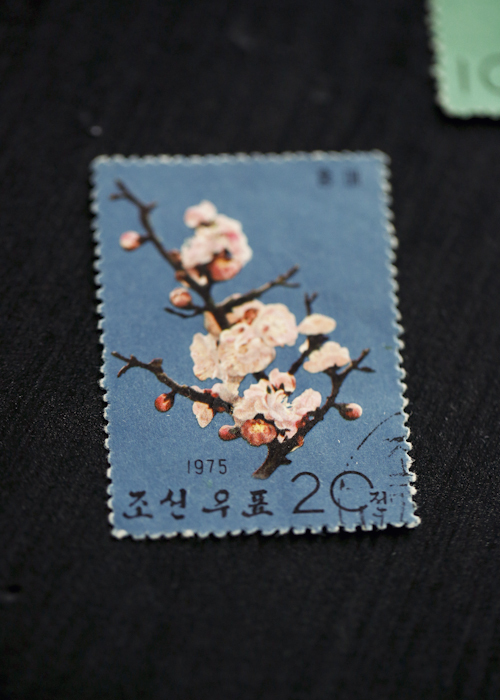 There were cute stamps on them. 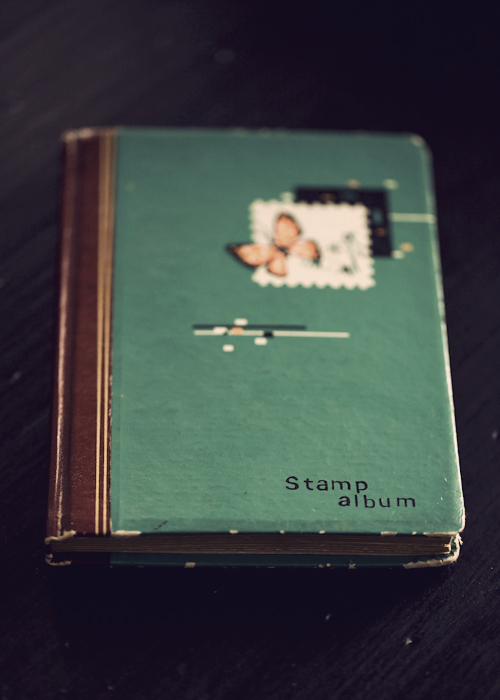 Then I remembered that I bought few years ago an old stamp book. 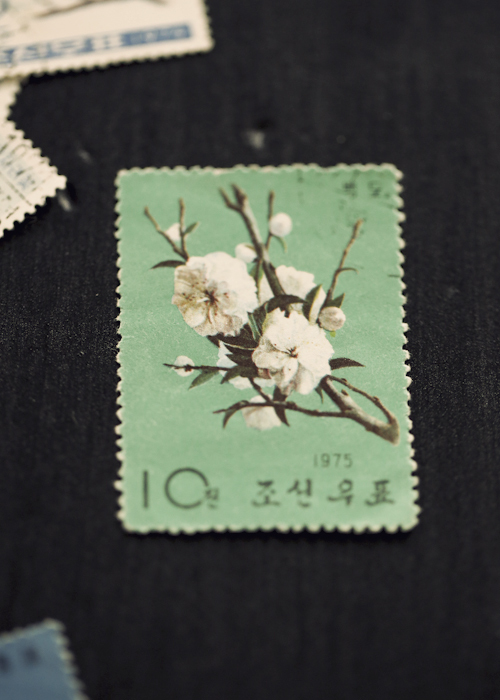 I bought it because it had beautiful old stamps from Japan. Or I'm not sure but I believe so. I don't understand the written word. If you do, please tell me. Very simple - beautiful colors and flowers. I guess they are vintage because they are from 70's. I haven't decided what to do with them. They are just so incredibly beautiful. Maybe I just frame them and hang them on the wall for my inspiration. 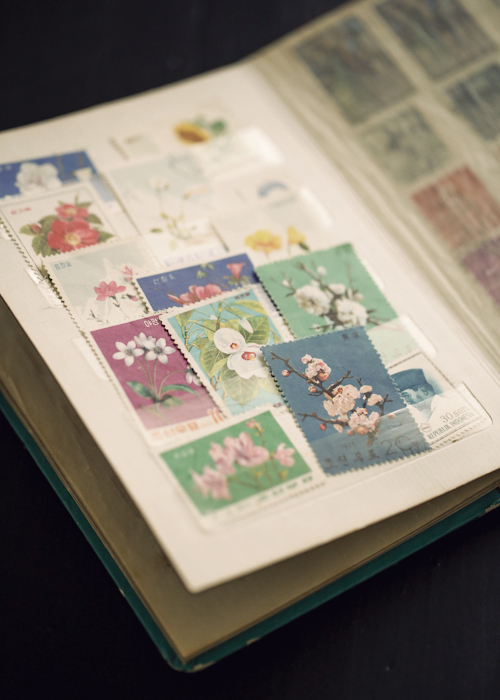 And I think I should start to send letters again...maybe then I would also get one in these times of digital age. Would you like to get a hand written letter in handmade envelope? 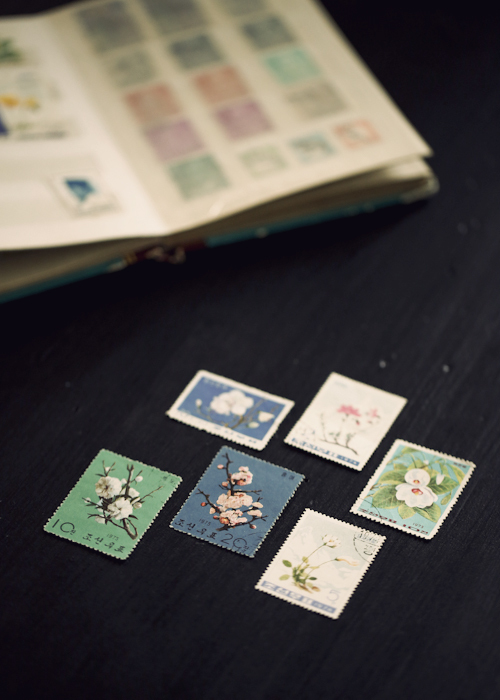 such pretty stamps...I really need to find my stamp collection from when I was younger...I adore stamps and MAIL..greeting from Canada! Love your blog! Absolutely and Thank you. Hope to see you again! It's not 'might.' They are Korean. Why did you have to wish they had been Japanese..? Your post seemed to me to imply that Japanese is cooler or more beautiful than Korean. With all the history happened between two countries, your comment could be offensive. Just saying. With all my respect Jessie, I didn't mean to be tactless by saying what I did. I've always liked Japan even when I was a kid, we played with my friend dressed in Kimonos and so on…it's a long history. Thank you for your honest feedback.